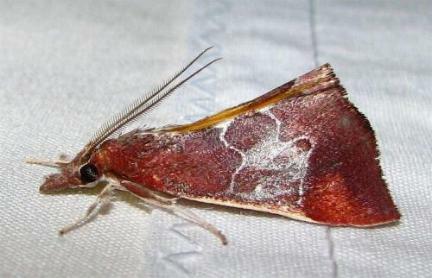 The moth has forewings which vary in colour from pale to rusty brown, each with a vague complex broad white or dark transverse band across the middle of each forewing. 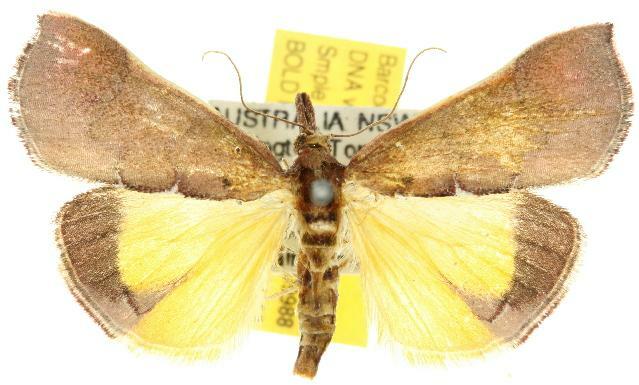 The hindwings are yellow with dark brown margins. The wingspan is about 3 cms. 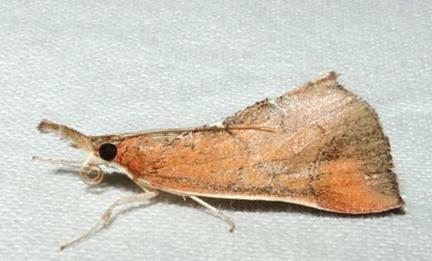 Note that formerly, this genus Anemosa was placed in CHRYSAUGINAE in PYRALIDAE. 1885, Part 4, pp. 441-442.